From Anaheim, California, CAPT Brent Smith graduated from the University of Washington with a Bachelor of Arts degree in Business Administration, where he received his commission through the Enlisted Commissioning Program. 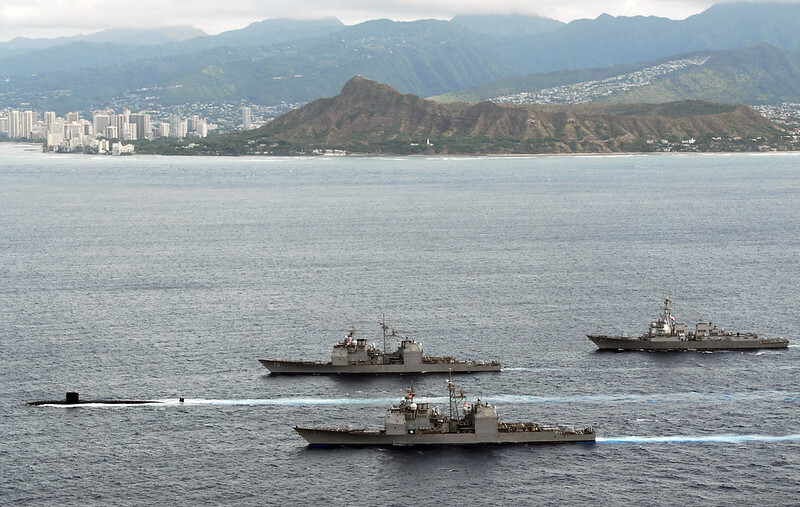 His prior-enlisted experience was as a Cryptologic Technician (Maintenance), where he served as a Classic Outboard operator and maintenance technician in USS OLDENDORF (DD 972). 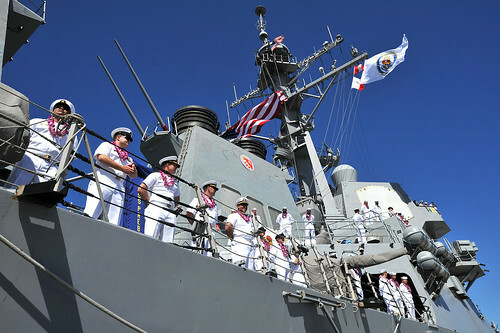 CAPT Smith assumed duties as Chief of Staff, Naval Surface Group Middle Pacific in August 2012. 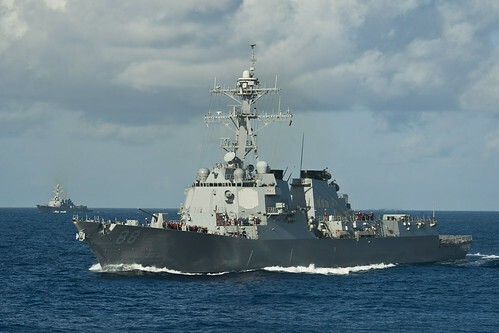 A Surface Warfare Officer, Smith most recently served as Commanding Officer, USS PAUL HAMILTON (DDG 60), from 2008-2010 where he completed a 7-month Ballistic Missile Defense deployment in the Arabian Gulf. In additional sea tours, Smith served as Assistant Chief of Staff for Materiel and Readiness for Commander, Strike Group Six and Commander, John F. Kennedy Strike Group, Executive Officer in USS SPRUANCE (DD 963), Engineer Officer in USS TICONDEROGA (CG 47), Engineer Officer in USS SPRUANCE (DD 963), Main Propulsion Assistant and First Lieutenant in USS VALLEY FORGE (CG 50). 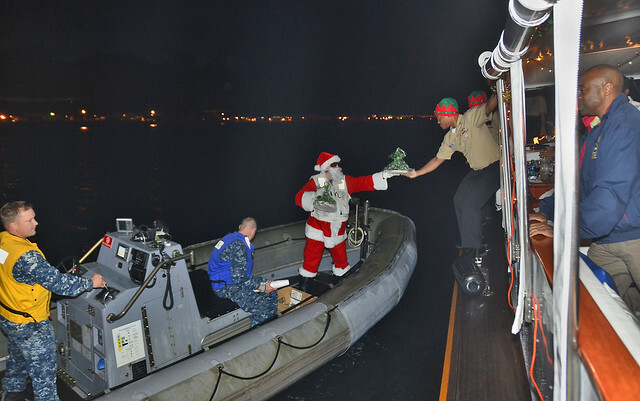 CAPT Smith’s significant shore assignments include Assistant to the Director, Missile Defense Agency at United States Pacific Command and assignment to the staff of the Chief of Naval Operations, Assessment Division/Capabilities Analysis Group (OPNAV N81), serving as a Force Structure Analyst, the Joint Requirements Oversight Council (JROC) and Deputy’s Advisory Working Group (DAWG) Section Head, and Sea Shield Deputy Branch Head. 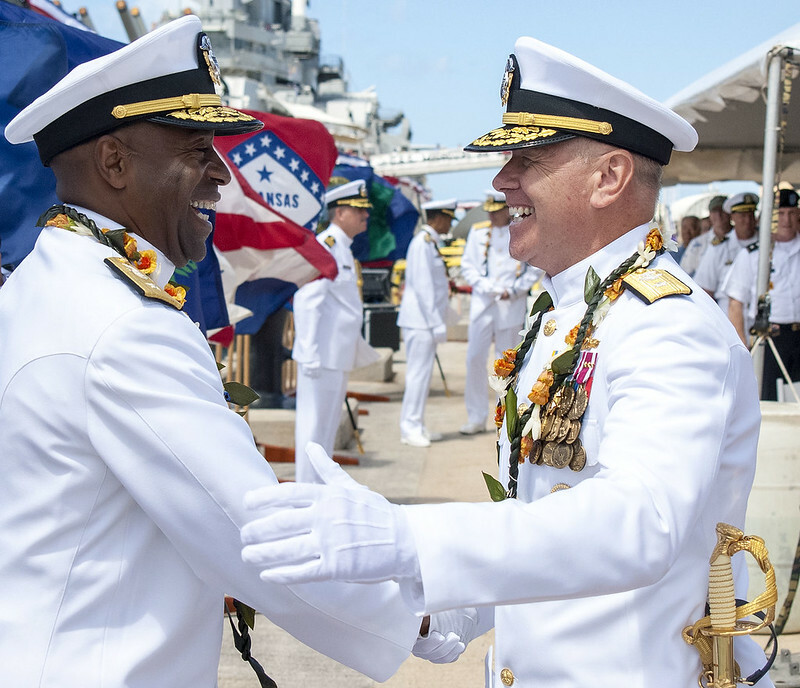 He has also served at the Aegis Training Center as Combat System Officer Course Supervisor and Instructor for AEGIS Prospective Commanding Officers, Executive Officers, and Department Heads. Smith has earned his Master of Science degree in Business Administration from Strayer University in Washington, DC, and a Master of Arts Degree in National Security and Strategic Studies from the Naval War College in Newport, RI. 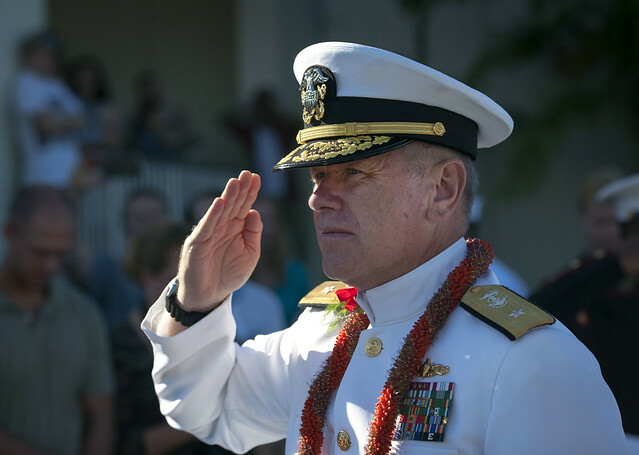 CAPT Smith’s personal awards include the Meritorious Service Medal (three awards), Navy and Marine Corps Commendation Medal (six awards), and the Navy and Marine Corps Achievement Medal (three awards).